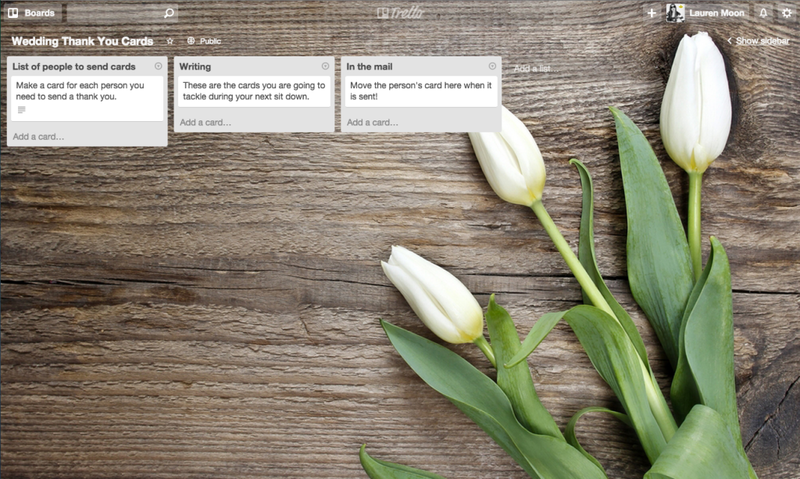 It started with a Trello board. Well, sort of. 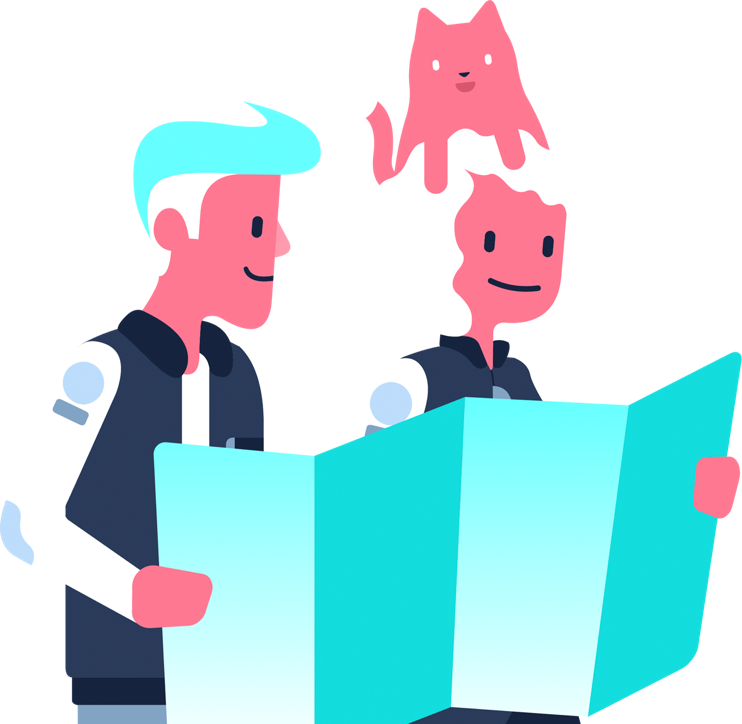 For Eric Neuman, founder of DecisionDesk, it actually started with him carrying an engagement ring through the jungles of Belize for two weeks, waiting for just the right moment to propose to Emily. Luckily the ring made it through the journey, and more importantly, Emily said yes! Next came the Trello board, presumably after they left the jungle. There you have it, one task already accomplished. Congrats! 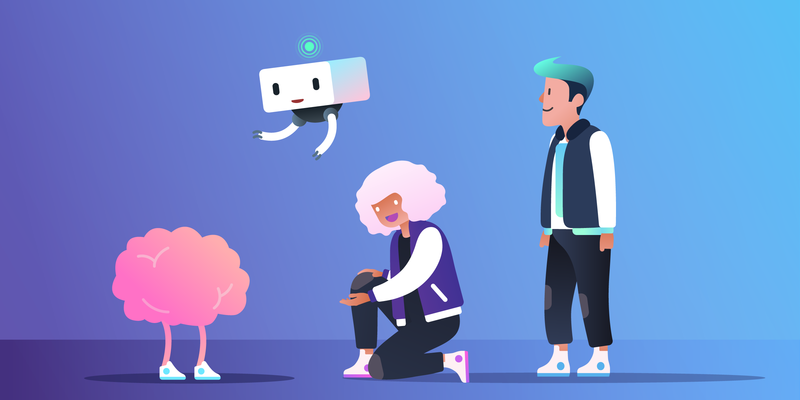 For Khoa Lam, Program Manager at Qualcomm, the yearlong planning process was so daunting that he decided to break up his Trello board lists based on how far out in the planning process he was. That way, when a thought randomly materialized 6 months out about something that needed to get done shortly before the wedding, he threw it in his Trello board so that he wouldn’t forget about it when the time came. See: “Begin breaking in wedding shoes” in the “2 Weeks Out” list. So crucial. Khoa and his fiance divided their lists into “12+ months,” “10-12 Months,” “8-10 Months,” and so on.  Each list spanned tasks in a 2 month time frame until the final 3 months, where they broke down a list for each month, as well as “2 Weeks Out,” “1 Week Out,” “Day Before,” and “Day Of.” In addition to these time-contingent lists, they also had “In Process,” and “Done” lists. Click here to see the full sample board, and feel free to copy this board for your own use. 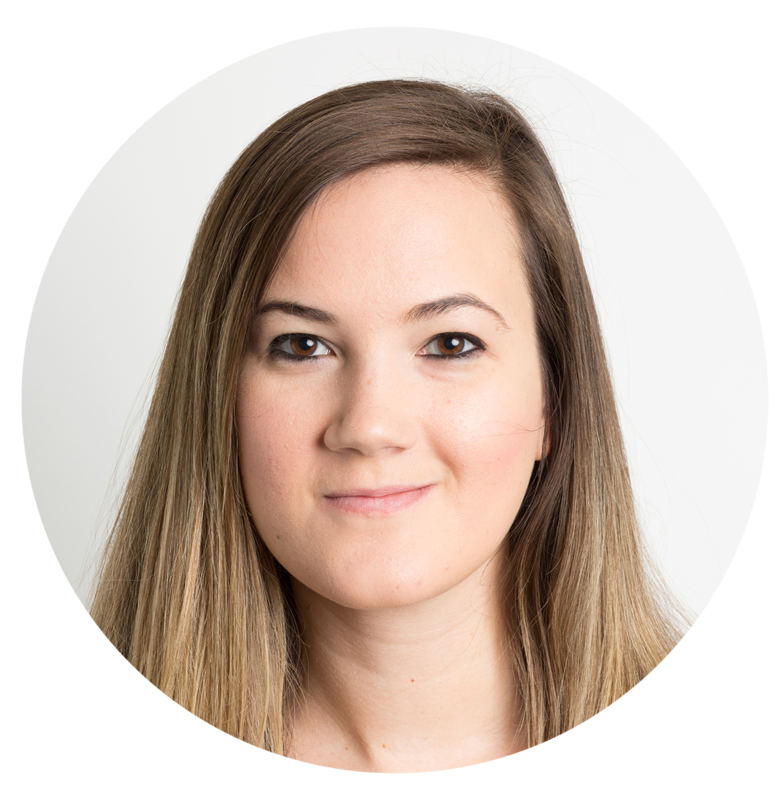 The basic approach is to tackle the tasks within the corresponding time frame, so when you’re 6-8 months out, focus only on those list items. This is an effective way to prevent feeling overwhelmed by all of the countless preparation that needs to get done. Move cards from the “X Months Out” list to “In Process,” and then to “Done.” When you have finished that list, move on to the next time frame. 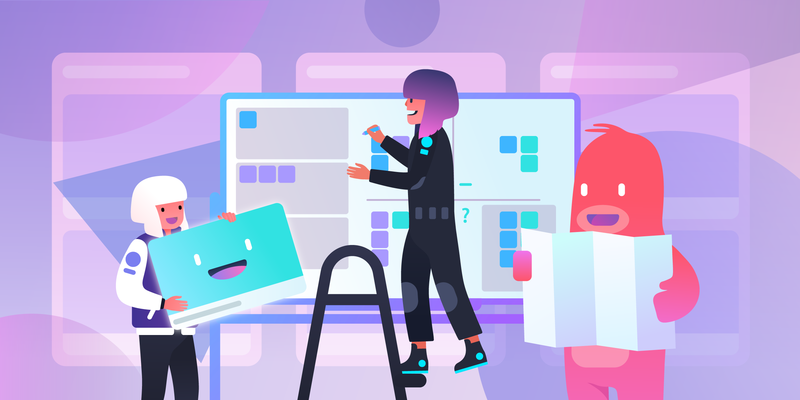 In addition, if there is an item that you fall behind on from a list from previous months, it will linger there, staring you down every time you open your Trello board. Beware, the abandoned list items. Khoa and his fiance also assigned each other to different cards, essentially assigning one another different tasks. For example, any coordination with the groomsmen became his domain, whereas she was interested in overseeing the flower arrangements and the invitations. Looking back at his board, Khoa admits, the assign feature allowed him to see just how much more work his fiance took on. Hopefully he remembered that when it was time to pick a nice restaurant on the honeymoon. 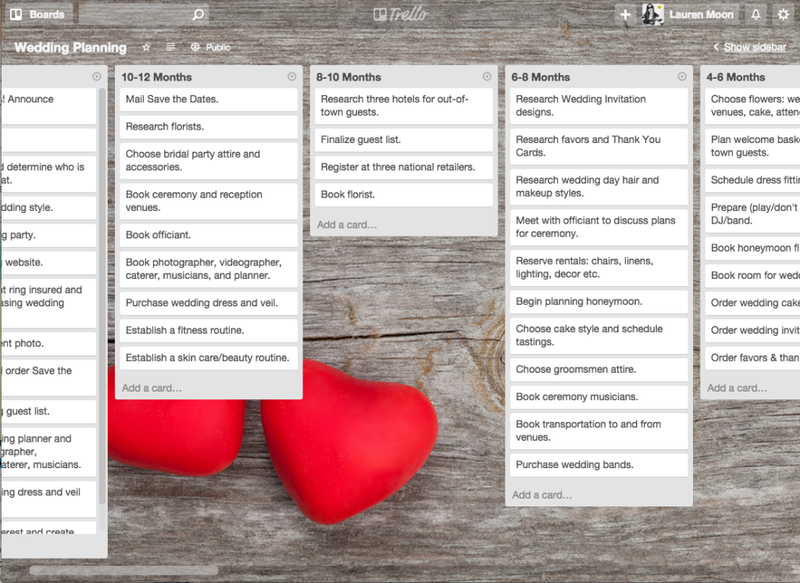 For some couples, aside from their spouse there is another VIP member of their Trello board: the wedding planner. 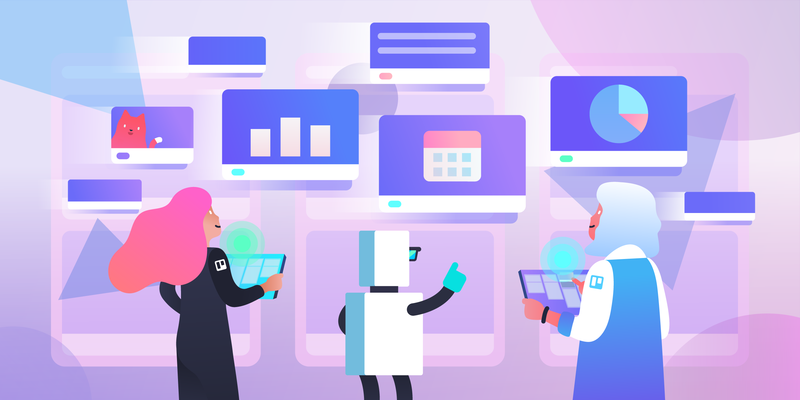 Whether the planner is hired the day after the proposal or just to coordinate the day of, adding the wedding planner to your Trello board gives them complete visibility of vendor names, phone numbers, invoices, timetables, and tracking numbers. The comments on the backs of cards allow for a dialogue to ensue where everyone can see the details, and you can always reference what you discussed at a later date. In addition to notes and discussion, it is supremely important to keep invoices, receipts, and due dates all in one place. Card backs can store all of this information, and even give you a notification when something is 24 hours from its due date. Attach directly from Google Docs, Dropbox, Box, and OneDrive, or just upload a file from your computer. You can also take a picture directly from a card, which is a great way to store paper receipts or color swatches. 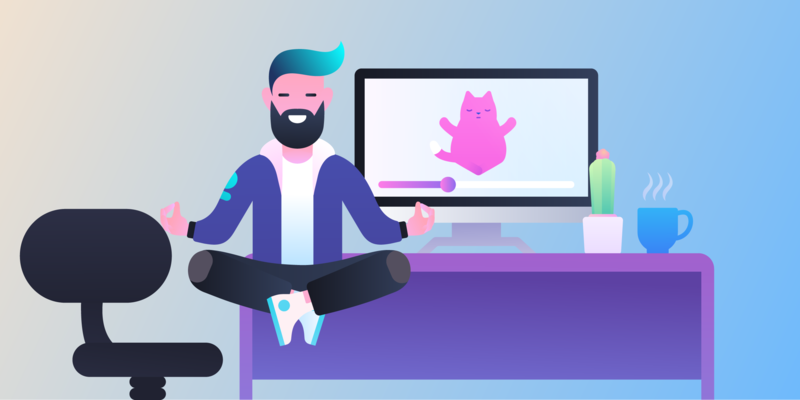 For Bryan Monzon, VP of Engineering at Fifty and Fifty, putting tasks in his Trello board ahead of time allowed him and his fiance, Sandy, more efficiency when they were on the go. 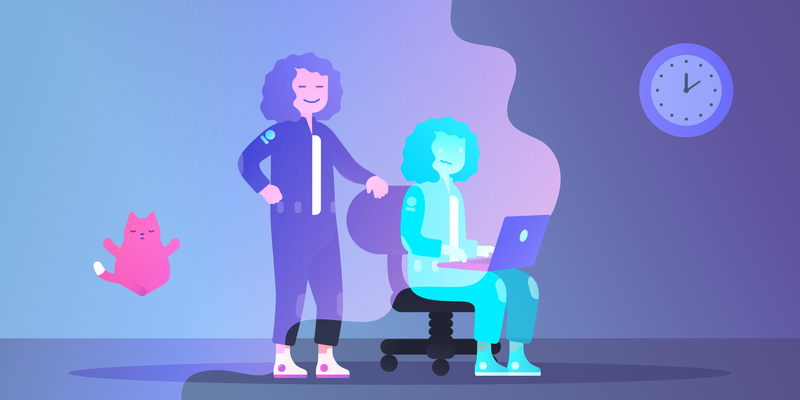 “When we were out with a vendor and they were giving us information,” he explains, “I was just taking notes inside of Trello, because it’s the one place where we had everything.” Never lose another price quote, florist’s phone number, or your mind, again. 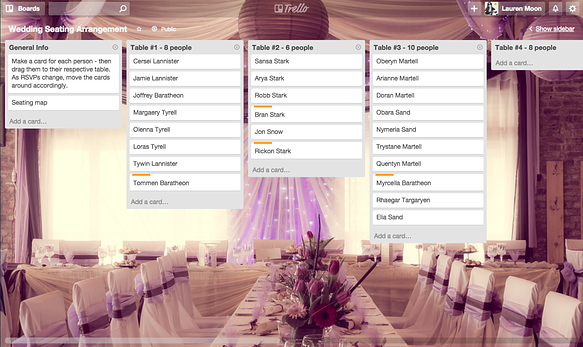 Unlike literally anything else involved in planning a wedding, Trello is infinitely flexible, and it’s free. There are a lot of tools and resources marketed towards people planning a wedding, but they are often narrow in their ability to structure them just the way you like, AND they cost money. We have a template wedding board based on Khoa’s workflow that you can copy here, but also remember to tweak it however you like. Not planning to have flowers in your decor? Simply delete those cards. Is your reception menu due before the 3 month mark? Move it to a list that fits your timeline. Or, just start from scratch, and use the sample board to get ideas for things you hadn’t yet thought of. 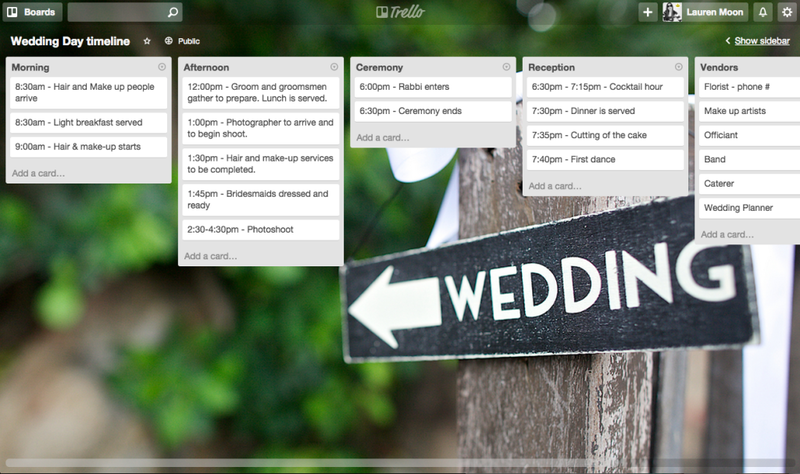 The point is, this is your wedding, and Trello is the most flexible way to plan it effectively. 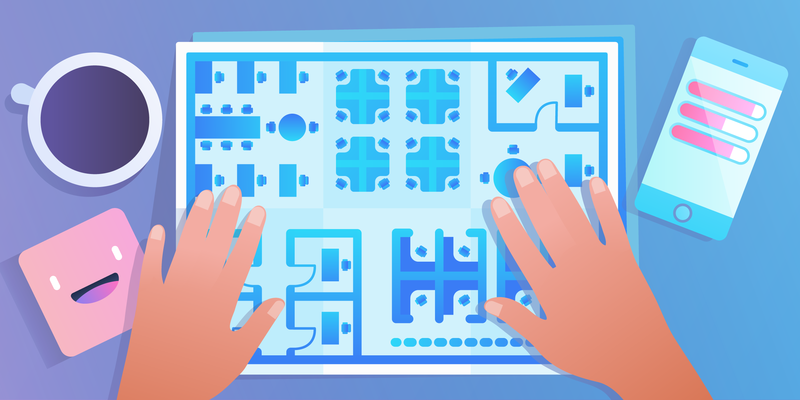 Trello for seating arrangement - Copy me! 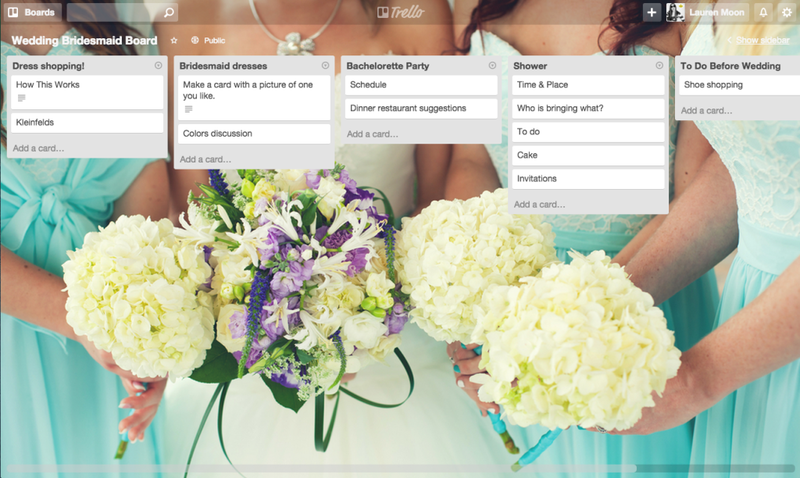 Trello for your bridal party - Copy me! Trello for sending thank you cards - Copy me! Special thank you to Eric Neuman, Bryan Monzon, and Khoa Lam for sharing their Trello for wedding planning experiences and tips. Oh, and congratulations! Want to plan your wedding with Trello? Sign up for free at www.Trello.com.